With everything — from our devices to our cars to our houses to our businesses — becoming “smart,” it’s probably a good idea to know what they’re thinking. With a new campaign launching this week, SAP suggests it’s the company to help other businesses do so. 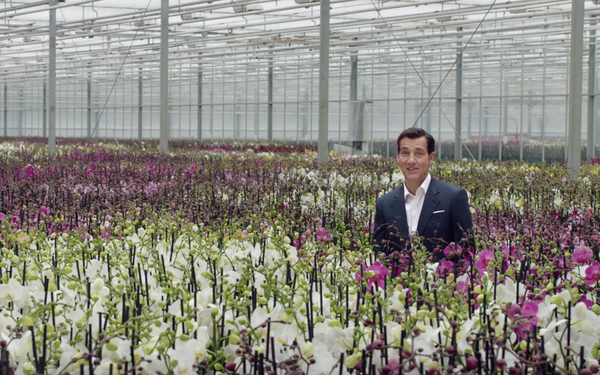 The effort, titled “Let’s Do This” and featuring actor Clive Owen, is meant to challenge the status quo of doing business. In the spot (from BBDO New York), Owen says he’s been “thinking about thinking.” Moving through different scenarios where everything is “thinking” (from cars and planes to businesses and factories), Owen suggests businesses are “up to their necks in knowledge,” but need a way to turn “thinking into doing.” A graphic reveals SAP and its software products, HANA, S/4HANA Cloud and Leonardo, can. The spot launches during the Presidents Cup broadcast on NBC over the weekend before moving to cable news broadcasts in SAP’s key U.S. and German markets. With the international reach, the company tested the content to make sure it would play outside the U.S.